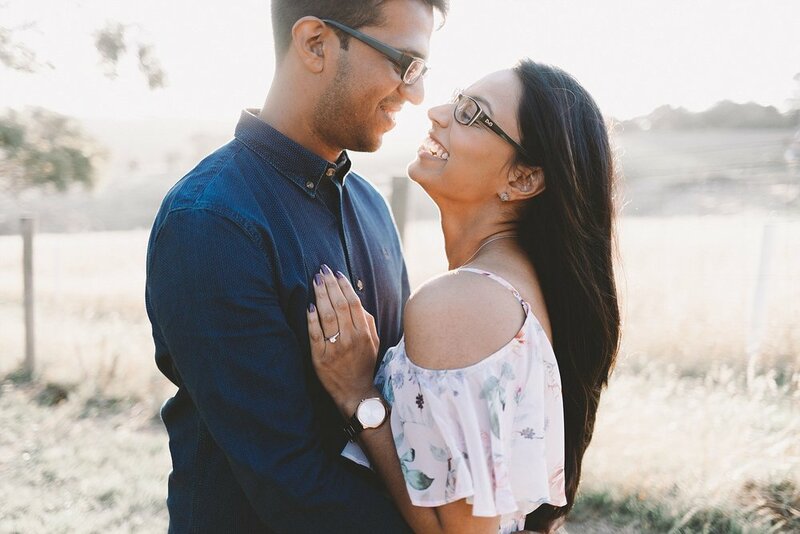 Photographing a surprise engagement has been on my photography wishlist ever since I started this business, and when Aiden contacted me asking if I could photograph his proposal to Neshadi I almost jumped through the roof in excitement! When I arrived, Aiden had set up the most beautiful little area (in this random field somewhere in the Dandenongs, I couldn't even tell you where if you wanted me to), with candles and this little picket fence where he had hung a bunch of photos of him and Neshadi, from the years they had been together. And did I mention that I even got to hide behind a tree?!?!?!? DREAMS DO COME TRUE YOU GUYS! You can read about the experience from Neshadi's experience over here on The Knot. Aiden and Nesahdi's story has also been shared over on Brides.com. Lecinda Ward is based in West Melbourne (but loves to travel).